TRS grabbed the majority of the 4,479 panchayats including 769 panchayats where elections were declared unanimous in the first phase of elections. More than 50 per cent panchayat posts were grabbed by TRS. Hyderabad: The Telangana Panchayat elections recorded a massive 85.76 per cent polling in its first phase which concluded peacefully on January 21. The first phase comprised of 3,701 panchayats across the state. Candidates supported by the ruling Telangana Rashtra Samithi (TRS) are ahead in the majority of panchayats. What comes as interesting is that the panchayat elections were fought without the party symbols but reports stated that candidates supported by the ruling TRS grabbed the majority of the 4,479 panchayats including 769 panchayats where elections were declared unanimous in the first phase of elections. More than 50 per cent panchayat posts were grabbed by TRS. After the declaration of election results, the elected representatives including sarpanches and ward members convened a meeting and elected deputy sarpanch for their respective villages. While Yadadri-Bhongir district recorded the highest polling percentage of 95.32 per cent, Khammam recorded 93.92 per cent. The lowest voter turnout was recorded in Vikarabad district, that is, 68.25 per cent. Nearly 12,202 candidates remained in the fray for sarpanch posts in 3,701 panchayats. As many as 70,094 candidates contested for 28,976 ward member posts. The polling began at 7 AM in the morning on Monday and concluded by 1 PM. The counting of votes started at 2 PM. Results for the majority of the panchayats were declared by 6 PM, while counting process continued in some bigger panchayats. The State Election Commission stated that consolidated final list of elected representatives of the rural local bodies will be released on Tuesday. About 26,000 police personnel were deployed for the peaceful conduct of the elections. Five polling staff were suspended from the election duties in Arpapalli in Sarangapur Mandal of Jagityal district, following a complaint lodged by the locals. Elections to another nine panchayats were cancelled due to court cases and lack of nominations. 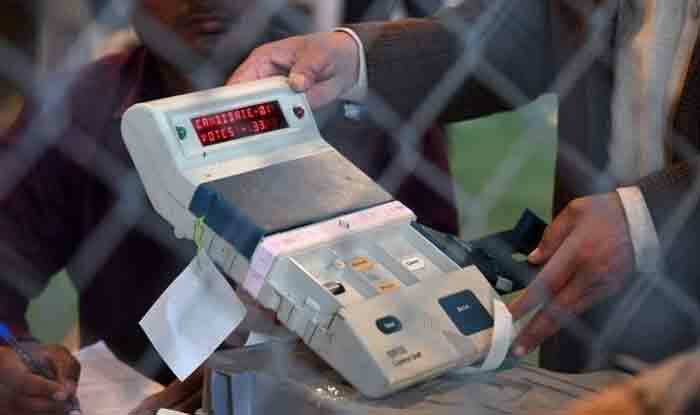 Polling for second and third phases of panchayat elections will be held on January 25 and 30 respectively.